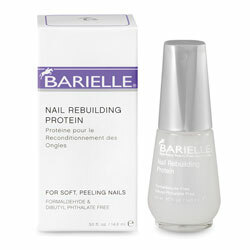 This revolutionary formula helps build up damaged nails, bonding and fortifying weak nail layers together. A perfect product to help damaged nails after removing wraps and acrylics. Use: Apply Use 2-3 times per week for 3 weeks without additional lacquers to allow nails to breathe. Then use as a fortifying basecoat in your weekly manicure regimen.